The Rebel Sweetheart. 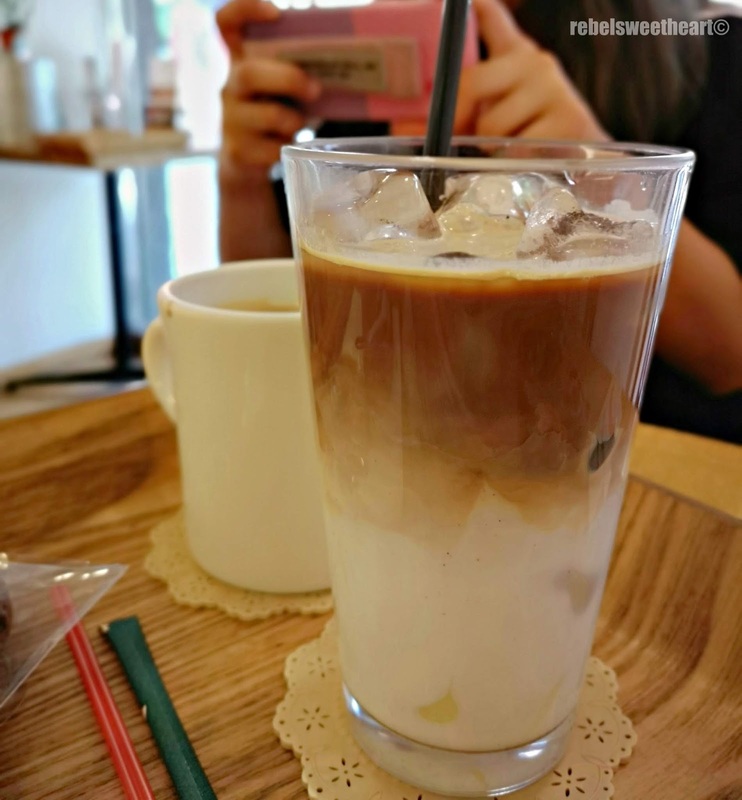 : Foodie Goodie | Hongdae Hits! 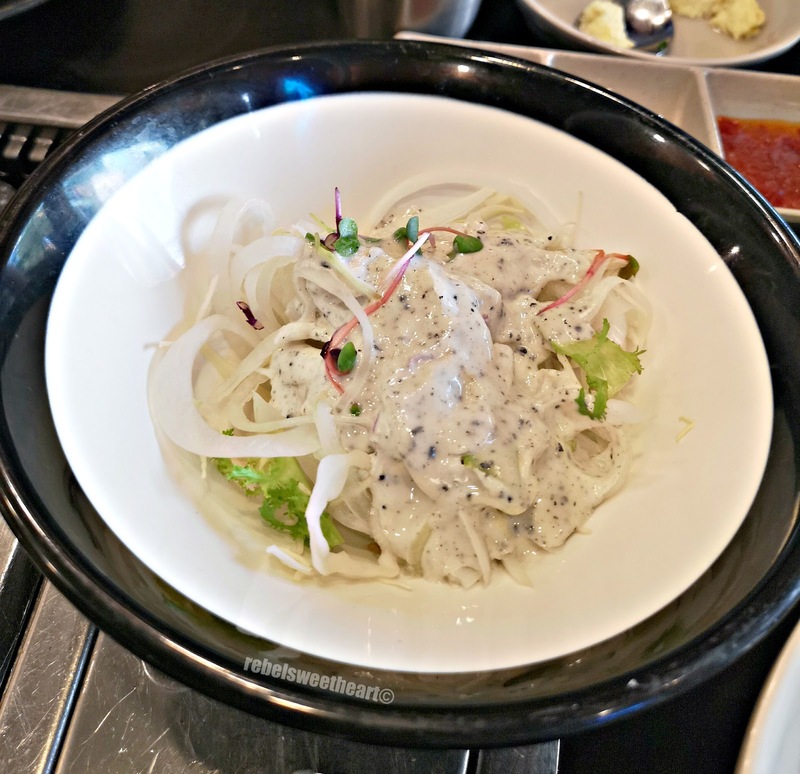 Aside from its reputation of being the trendiest and most vibrant neighborhood in Seoul, Hongdae is also a treasure trove of delightful eats. From meat buffets to chicken joints, to cozy cafes and dessert shops, Hongdae has it all. It's no secret that this youth-culture hub is one of my favorite places in Seoul, and I never miss the chance to visit this area whenever I'm in the country. I had all the more reasons to hie off to Hongdae during my most recent trip, as my friends who were also vacationing in Korea at that time were staying at AirBnBs within the district. 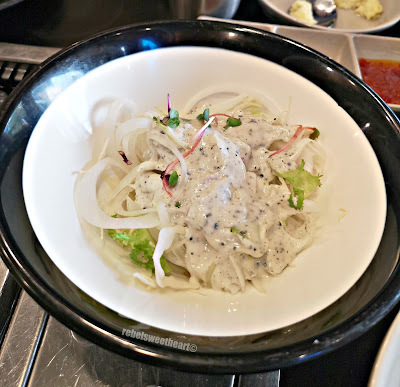 Thanks to our 'mini reunion', I was able to discover these restaurants in Hongdae and enjoy good food while catching-up with the girls. 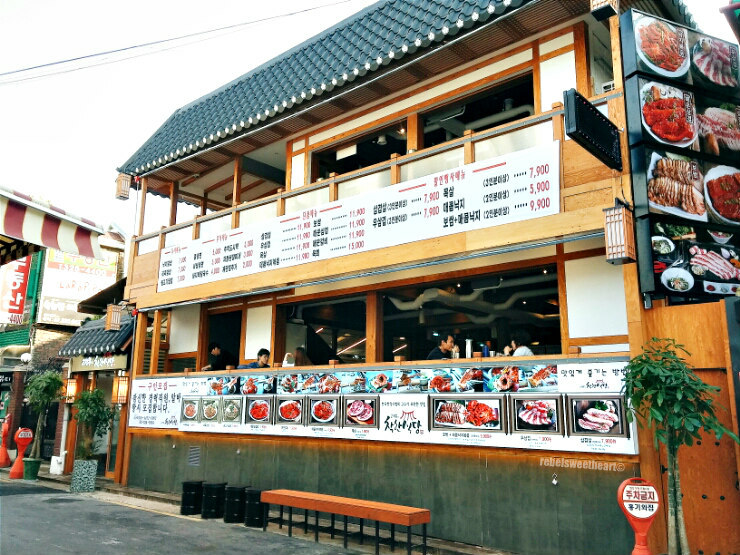 If grilled meat is your thing, Hongdae is the perfect place to be. There's a so-called 'Meat Street' in the neighborhood where you'll find more than a dozen barbecue restaurants lined up in one area. We somehow ended up here while looking for a place to eat, mostly because my friend Ela had been craving for authentic samgyeopsal since she arrived in Korea. One of the more prominent meat restaurants in the area is Gochangbok's Good Restaurant, which is especially popular among office workers. Thankfully, we came after the lunch crowd has dissipated and we had no trouble finding seats at the first floor of the building. Both floors of the restaurant are usually packed after office hours. 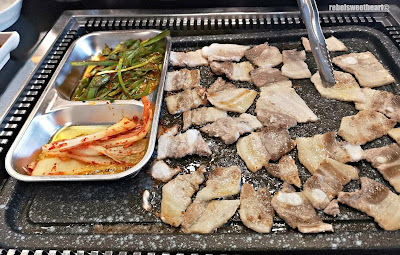 We ordered samgyeopsal, of course, which was priced at 7900 won per serving. Ela ordered three servings (one for each of us), plus three bowls of rice (because rice is life, lol), and an extra soondubu jigae (silken tofu soup) for Maan. Our orders came with side dishes such as acorn jelly soup, coleslaw, and lettuce salad. I especially enjoyed the coleslaw, and even helped myself to a refill at the salad bar in one corner of the restaurant. They also gave us a bowl of gyeran jjim (steamed egg) - soft, silky, and seasoned just right. No wonder this restaurant is such a hit among yuppies. 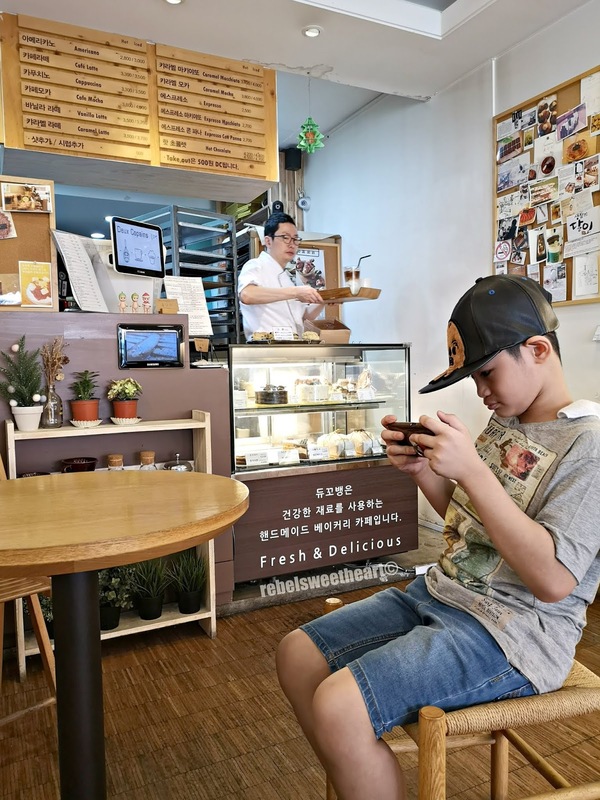 Awesome food, great ambiance, budget-friendly price...Gochangbok truly lives up to its name of being a 'good restaurant'. To get there, take Hongik University Station (Line 2), exit 8. Next to fish, chicken is my son's most favorite protein in the world. 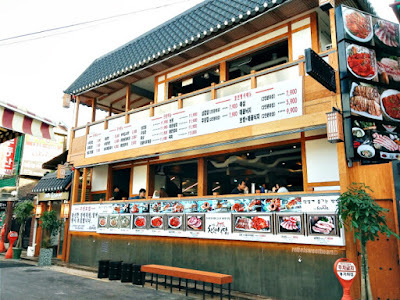 And while there may be a proliferation of chicken restaurants in Seoul (there's bound to be one or two in every corner, lol), Yue's primary complaint is that they're too spicy for his taste. 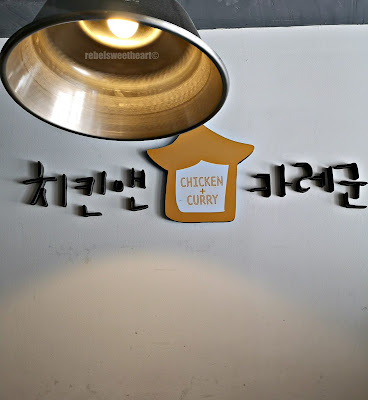 We almost always resort to McDonald's or Lotteria's Chicken Nuggets whenever he's in the mood for chicken, but we took a stab at this cute restaurant which we came across while walking along the streets of Hongdae. I was initially worried that they would not allow us to enter since most beer-serving restaurants do not allow kids in their establishments. However, the staff of Curry Chicken Goon were more than welcoming, and we were able to order without a hitch. Maybe because it was lunch time and none of the customers were having beer anyways? 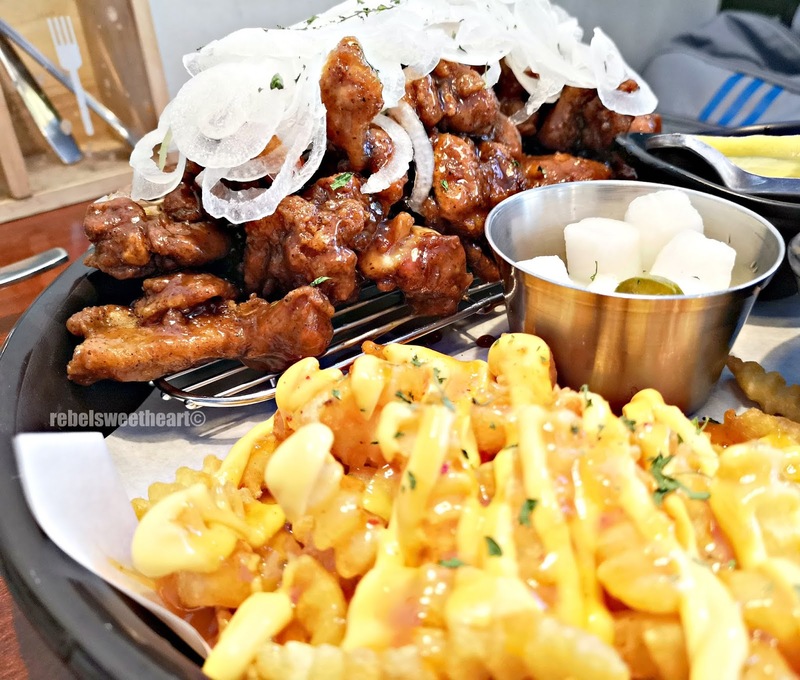 The chicken sets seem to be the more popular items on their menu, so we ordered the Onion Cream Chicken Set which comes with a salad, cheese fries, and more than a dozen pieces of fried chicken topped with heaps of onion slices. The serving is huge, and good for sharing between three people. 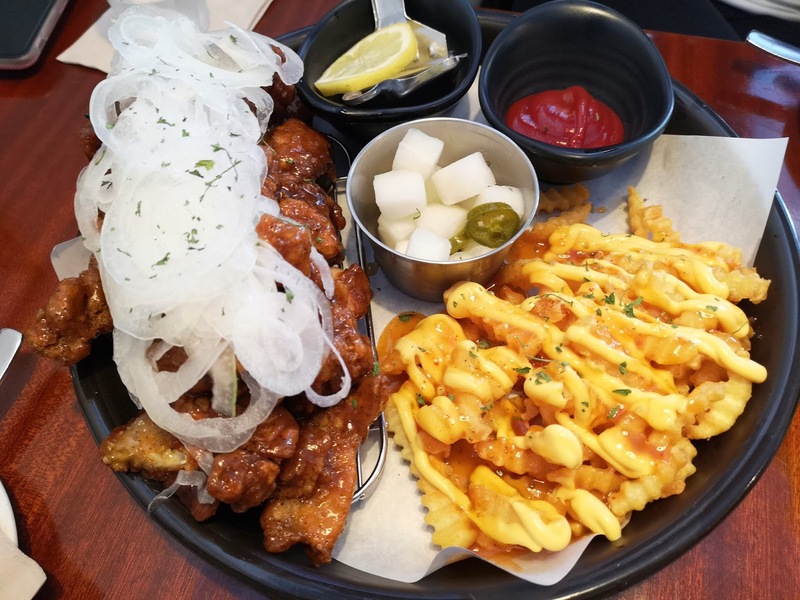 Onion Cream Chicken Set, 22800 won. Even the salad is good for sharing. Yue fell in love with the chicken at first bite. I did, too! Its crispy on the outside and flavorful all throughout (not just the skin, mind you), and best of all, it's not spicy! The fries were just as tasty - cheesy, creamy, with just the right crunch. The price isn't so bad either, considering you can feed a family of three with just one set. To get there, take Hongik University Station (Line 2), exit 9. Nestled among the alleys of Donggyo-dong is this cozy neighborhood bakery called 'Deux Copains'. The name means 'two friends' in French, and this place is perfect for coffee dates or small, intimate gatherings with friends. This is one of the very few places in Seoul that sells croissants, and I was pleasantly surprised that theirs taste the way a real French croissant should be - crumbly on the outside, soft and chewy on the inside, and 'ears' that are crispy, crunchy, and browned to perfection. One of the rare occasions that I ordered iced coffee - Caramel Latte, to be exact. It was so damn hot that day! Yue enjoyed their pastries, but he enjoyed the free wi-fi more, as this place was actually a Pokestop and had several gyms nearby. (If you're playing Pokemon Go, then you know what I'm talking about.) That being said, if you're the kind of person who likes to 'work' at coffee shops and need wi-fi to get your job done, drop by Deux Copains for croissants, coffee, and a nice and quiet working environment. To get there, take Hongik University (Line 2), exit 2. Go straight to the Hyundai Gas Station on the right side, then go straight for 30 meters to the right from Porutua across the street. Go straight for about 100 meters after turning left at the Oriental medicine store. I've said it before, and I'll say it again - the churros from Churro 101 are the best in Korea, if not the world. 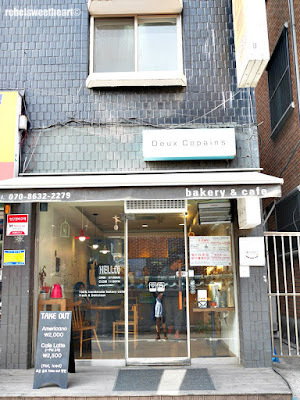 This snack shop is the place I frequent the most whenever I'm in Hongdae (you can read all about it here and here), and I'm so glad my friends enjoyed their churros as much as I did. 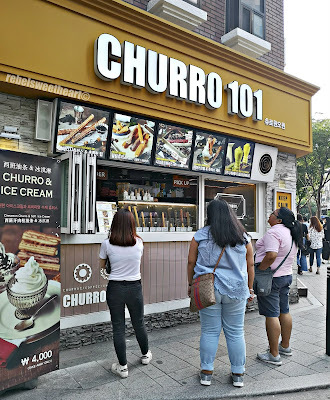 Churro 101 recently introduced new flavors to their menu, mostly green tea based because matcha is all the rage in Korea these days: Green Tea Chocolate, Green Tea Chocolate Almond Cherries, Green Tea Chocolate Strawberry Crunchy, and Green Tea Chocolate Coconut Citrus. However, my perennial favorite will always be the Deep Fried Oreo Churro. Oh I could absolutely live at that bakery! Of course, all the other food looks delicious, now if I could just go on vacation! The food looks so good! I would not waste any time, I'd dig in immediately after my order is served! That is such a nice place to go and those food that they serves are all delicious and it really makes my mouthwatering. Those look delicious. I'm currently living in Uijeongbu and I've been meaning to get out that direction. Thanks for sharing! I have never been in Seoul but I've heard a lot of good things about this place most especially a lot of my friends said that they really have a good and delicious food. Yuuum, what a fun journey in food you're having! Thank you for sharing these tasty looking spots! Oh wow, those croissants and churros look SO AMAZING! Thanks for sharing, everything looks so yummy! Yummy! This looks perfect. I am hungry just reading your post! Definitely going to try this place if I ever visit! It looks like you are having a great time here. The food looks really lovely indeed. I bet exploring is so much fun. Wow, the Korean cuisine looks delicious! I love the sound of the green tea based drinks, especially the Chocolate Strawberry Crunchy! I always look forward to food recommendations when it comes to a country I've never been to! I love tasting the cuisine and trying out different dishes! Everything looks AMAZING! Korea is filled with several cafes in every corner! I went to Korea last year, though I spent a small amount of time roaming around Hongdae. I would always remember the steet amazing perfomances!! 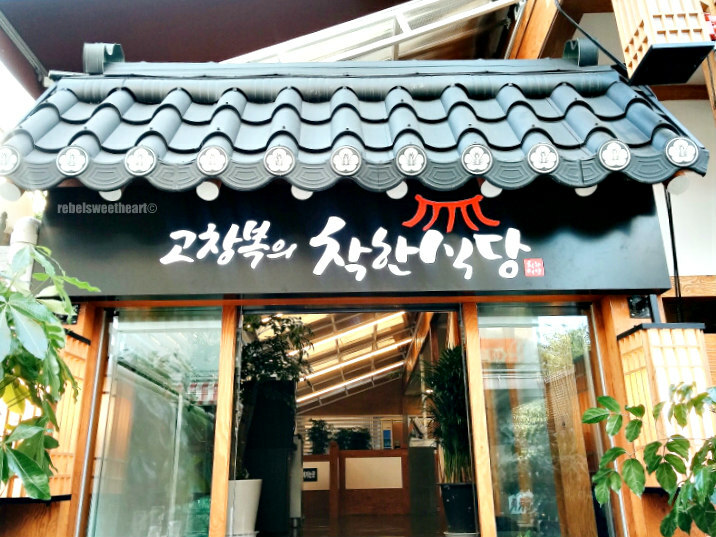 Gochangbok's Good Restaurant is such a great place to dine. I have been there and eat before. 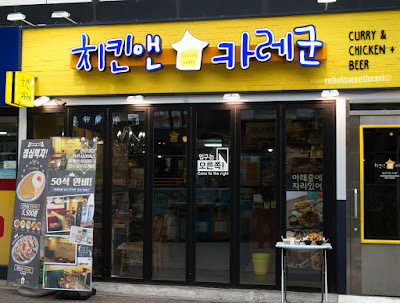 I love their Samgyeupsal. It is really tasty and delicious. I would love to try that Onion Cream Chicken and some of those croissants! They look so delicious! I have never been in Seoul but definitely planning to be there to see their beautiful places and to try their delicious food. 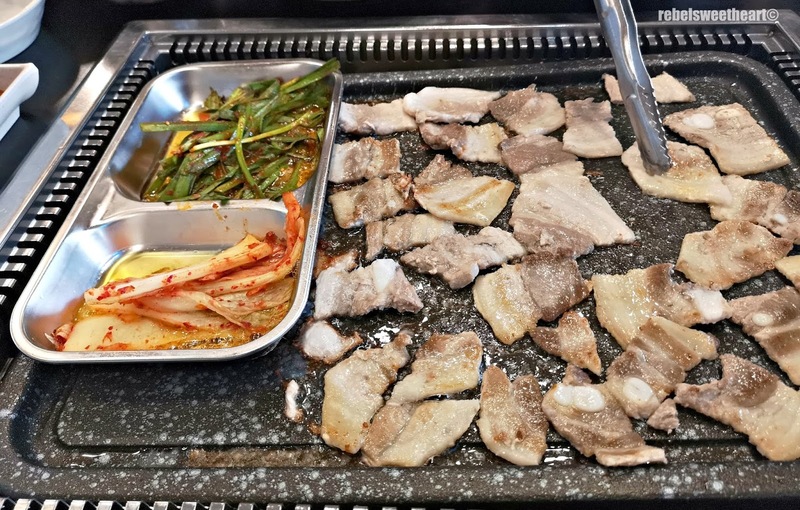 Dun sa samgyeopsal pa lang natakam na ko! Ang sarap siguro pumunta jan at kumain lang ng kumain! Wow! My hubby and I love Korean food. We'll definitely love exploring all the food you mentioned. I'm really curious about Meat Street coz I'm such a meat lover! 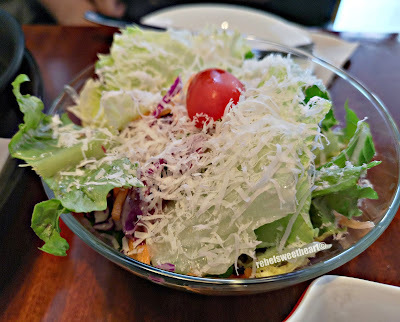 Seoul is such a feast to ones stomach ~ lots of delicious food to try. We had our fill at Myeongdong shopping district. Filled my shopping bags with cosmetics and our tummies with fantastic Korean food. Everything you shared looks delish but I guess I will agree with Yue's taste as I am not too fond of spicy food. That friend chicken with onions looks appetizing! 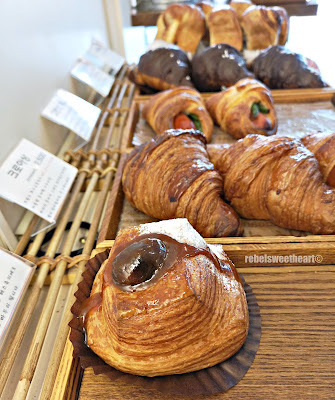 Those croissants also look tasty and they will be perfect for a cup of coffee. Now I am craving! 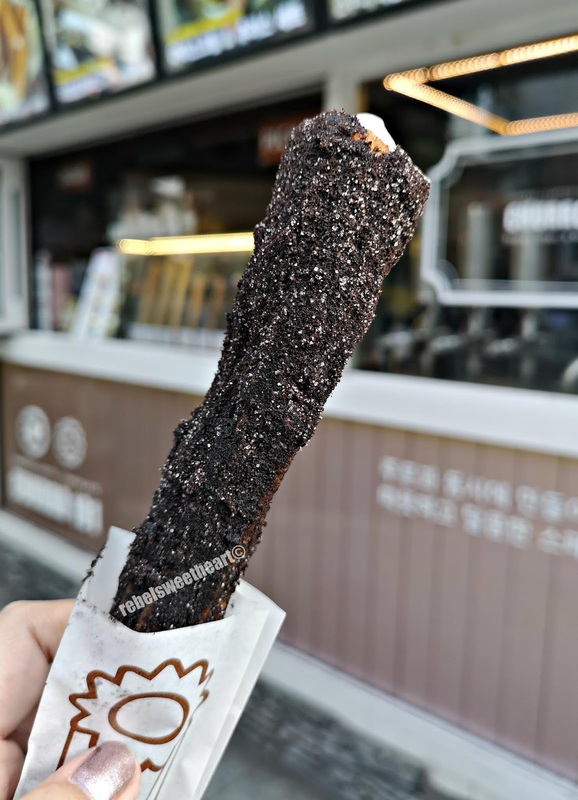 Deep fried Oreo Churro, I want~ Korea should be grateful to you, I really want to travel to Korea na. All the food looks yummy, and the places sounded interesting. I wish we can visit seoul too!! !